For painting, there are a number of steps that need to be taken so that to get maximal results and safety. Before painting, plan first the job and the goods that will be packed. Ideally, a painting job done within an empty room. But if not possible, the furniture can be covered with plastic or newspaper. When painting, open all windows and doors for air circulation can be run properly. Secure all children and pets during the painting. 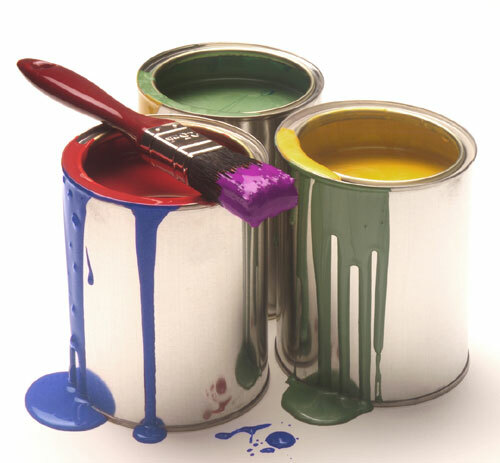 When using more than one can of the same color paint, use one large container for mixing paint. This is to prevent the existence of a different color. In addition, use safety goggles when painting or when the paint preparations. If we also paint the wood or metal with a paint solvent oil-based, do not forget to wear a mask. When the painting was stopped temporarily, put paint cans in a cool and safe place. The paint brush should be wrapped with paper and place it in a standing position (handle of the brush facing down). If the rest of paint on the brush was hardening, wash with warm water. Be careful when painting the borders between walls and floors. Use masking tape to prevent paint seepage onto the floor or carpet. If you hesitate to paint your own, you should use an experienced painting services, but you have to spend more!